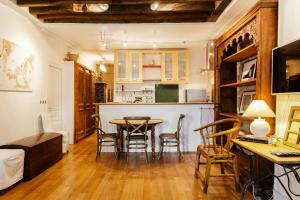 Studios Paris Appartement Louis XIV price per day from € 305 . Résidence Temple price per day from € 95 . My Address in Paris - Saint Sebastien Froissart My Address in Paris - Saint Sebastien Froissart is a one-bedroom apartment located in Paris, a 10-minute walk from Place de la Bastille or République. With a view of the city, the accommodation offers a living room with exposed beams, a fireplace and antique furniture. Le Robinet d'Or price per day from € 233 . Opéra Marigny price per day from € 239 . Camping Indigo Paris price per day from € 127 . Etoile Saint Honoré price per day from € 291 . Ibis Paris Bercy Village price per day from € 105 . Comfort Hotel André Latin Paris 5 price per day from € 79 . Hôtel Du Plat d'Etain price per day from € 69 . Tilsitt Etoile price per day from € 120 . 1. Head north on Rue de Mars toward Rue Albert Réville. 2. Continue onto Pl. de la République. 3. Turn left onto Pl. de la République/N44. 4. Turn left onto Bd Joffre. 5. Continue onto Bd Louis Roederer. 6. Keep right at the fork, follow signs for A4/A26/Paris/Calais and merge onto Traversée urbaine de Reims/TUR. Partial toll road. Speed camera in 1.2km. 8. Take the exit on the left toward Lyon/Paris-Centre/Porte de Bercy/Périphérique-Sud. 9. Keep left at the fork, follow signs for Paris-Centre. 11. Continue straight onto Quai de Bercy. Speed camera in 1.2km. 12. Continue onto Quai de la Rapée. 13. Slight right to stay on Quai de la Rapée. 14. Turn right onto Bd de la Bastille. 15. Slight left onto Rue de Lyon. 16. At the roundabout, take the 5th exit onto Rue Saint-Antoine. 17. Continue onto Rue de Rivoli. Palais Garnier - Opera National de Paris, Paris, 0.5 km from the centre of town of Paris. Bridge Alexandre III, Paris, 1.5 km from the centre of town of Paris. Notre Dame, Paris, 1.9 km from the centre of town of Paris. Luxembourg Park, Paris, 1.9 km from the centre of town of Paris. Golf club Paris International, 20.5 km from the centre of town of Paris. Golf club St Germain, 20.9 km from the centre of town of Paris. Golf club National (L'Albatros), 22.7 km from the centre of town of Paris.